HTC on Tuesday announced that it’ll soon be accepting pre-orders for the HTC wireless adapter, an accessory that transforms the company’s wired VR headset into a wireless solution. 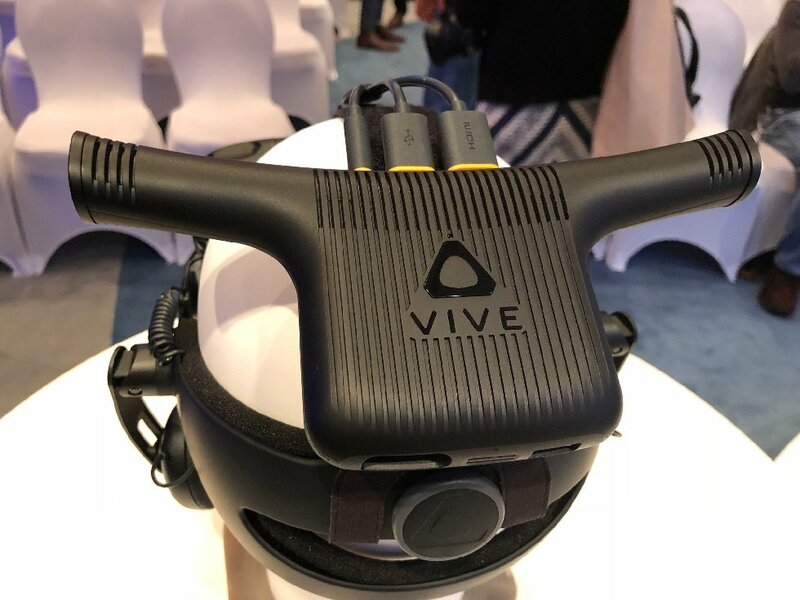 The base adapter works with both the HTC Vive and the Vive Pro although the latter will additionally require a $60 compatibility pack that includes a special connection cable, foam padding a unique attachment device. Installation of the wireless upgrade takes just minutes, HTC says. You’ll need to install a PCIe card in your computer and attach a sensor that broadcasts to and from the newly wireless headset. The adapter, which operates over the 60GHz band using Intel’s WiGig specification, features a broadcast range of six meters and offers a 150-degree field-of-view. The adapter is powered by HTC’s QC 3.0 Powerbank, a portable USB Type-C battery pack that can also be used to recharge mobile devices. One Powerbank is included with the HTC wireless adapter, as is a free two-month Viveport trial subscription. Combined with DisplayLink’s XR codec, the system is said to offer low latency and high performance with up to 2.5 hours of battery life. The adapter will add 4.55 ounces of weigh to the visor. Pre-orders for the HTC Vive wireless adapter open September 5 through Amazon, Microsoft, Best Buy, Newegg and on the official Vive website ahead of a scheduled launch on September 24. Expect to pay $299 to cut the cord. Wouldn't it be easier to put the whole thing into a helmet design? Should be interesting to see how it performs compared to the TP Cast solution, particularly with the slightly higher resolution Vive Pro. I am pretty close to buying one for my Oculus, but I think I will get out my tin foil hat so the thing doesn't burn a hole in the top of my brain.